Home » GBP » Pound to US Dollar Forecast: Will Growing Momentum in Brexit Talks Boost GBP/USD Exchange Rate? The Pound (GBP) has fallen by -0.3% against the US Dollar (USD) today, having lost some of yesterday’s upward momentum in the GBP/USD exchange rate. Sterling has continued to trade near a weekly exchange rate high of $1.3022, following Wednesday’s statement from EU Chief Brexit Negotiator Michel Barnier. Mr Barnier proved to be a surprising source of support for Pound Sterling, as he implied that the UK could get a bespoke Brexit deal. This statement marked a significant thawing of relations between the UK and EU – in recent months, talks have stalled because of stubbornness on both sides. The Pound initially rallied after Mr Barnier’s comments but has since levelled off – future GBP/USD gains could be caused by additional remarks about the Brexit process. Ideally, the pace of negotiations will accelerate from now onwards, which could lead to additional breakthroughs in the Brexit process and greater GBP trader confidence. If this proves to be a one-off announcement, however, and if a no-deal Brexit or a missed negotiation deadline seems likely then the GBP/USD exchange rate could drop. Will UK Consumer Confidence Reading Trigger Late-Week GBP/USD Exchange Rate Losses? Outside of any unscheduled Brexit-based announcements in the future, the Pound to US Dollar exchange rate could be influenced by this Friday’s UK confidence reading. GfK’s consumer confidence score for August is out early in the morning and current expectations are for a reprint at -10 points. Any negative reading means that the number of pessimists outweighs the number of optimists, so a reprint could lead to GBP/USD exchange rate losses. Some economists even believe that the reading could drop to -12 points, which might ensure reduced Pound Sterling demand before the weekend. US Dollar to Pound Exchange Rate Forecast: Will US Income Data Enable USD/GBP Exchange Rate Rise? 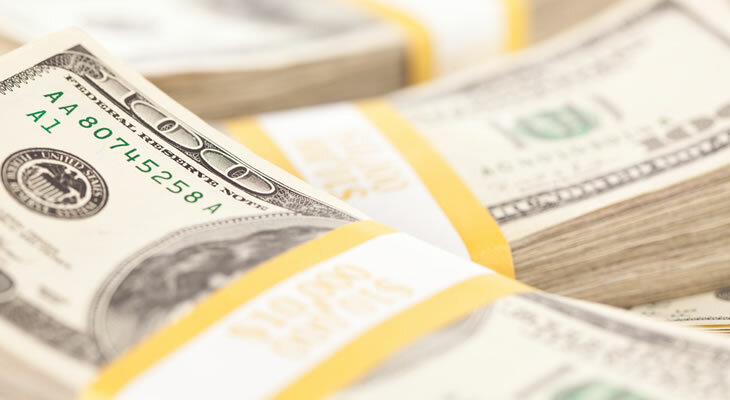 On the other side of the pairing, the US Dollar (USD) could extend its current lead against the Pound (GBP) later on today when US income and spending stats come out. Covering changes to personal income and spending levels in July, these are predicted to show a slight reduction in incomes but steady levels of spending. Such results could raise demand for the US Dollar and push it up against the Pound, as they would imply greater US economic stability. Looking ahead to the coming week, the US Dollar (USD) could fall back against the Pound (GBP) on Tuesday if US manufacturing PMIs prove to be disappointing. The readings for August are tipped to show a slowdown in sector activity on the month, for ISM and Markit’s measurements. Neither figure is expected to show a drop into sector contraction, but the US Dollar could still slip against the Pound on the news regardless. Previous ArticlePound Sterling to Euro Exchange Rate Forecast: Are GBP/EUR Gains ahead on UK PMI Data?